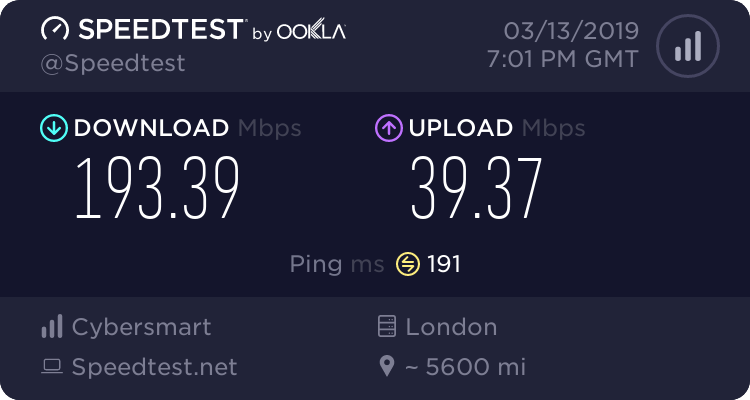 I've been using a 200GB Cybersmart capped account on my 200Mbps Openserve line. 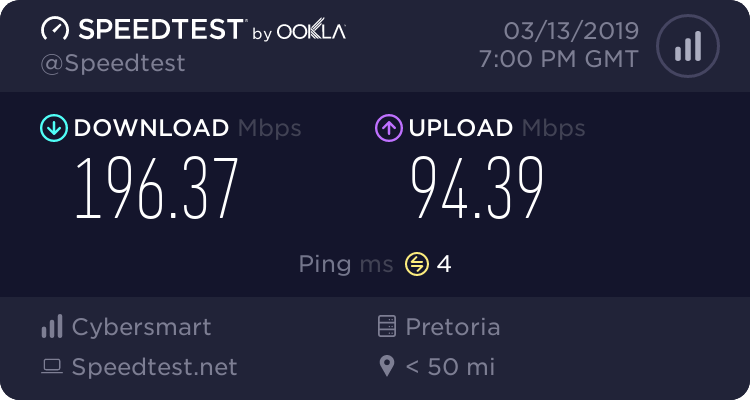 Appart from the fact that local JHB is 3 to 4ms international latency starts from 190ms where London is the lowest starting point at 190ms. Most others including Supersonic ect all have like 167ms to the same destination. Speed wise the Cybersmart account is way above anyone else I've seen. According to this https://bgp.he.net/AS36874#_graph4 their main transit provider is HE so not sure why it's so high. Is it not supposed to be like ~168ms like the rest that also use HE. Your link/path is fine end to end.